Premier Painting LLC power washes all surfaces to be painted with a 2500 to 3500 PSI washer unit. We will nail all loose boards with Galvanized Spiral Nails. We will scrape, sand and prime all loose paint. We will prime all bare wood surfaces with a 24 hour re-coat oil base primer. We will caulk all voids with a premium Lifetime Warranty elastomeric caulk that will expand and contract with temperatures. This would include baton strips, windows and vertical boards and tongue & groove siding to trim boards as needed. We will replace severe dry rotted trim boards and/or siding with certified accredited carpenters. We will apply a premium 100% Acrylic Hi-grade paint to all surfaces. We only use the best Sherwin Williams and Benjamin Moore paints. We will protect all areas not to be painted. We offer an industry high 15 year warranty for any chipping, fading or peeling of the paint. As the owner, Jon Audet, will be onsite throughout the process to ensure a quality job. Outdoor fixtures and furniture are put back to their original positions. 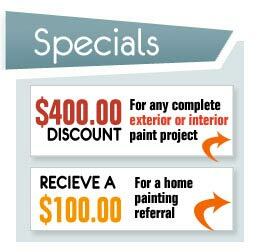 Call Premier Painting today. We look forward to working with you. Click here for Sherwin Williams Interactive Color ideas and Tools. Click here for Benjamin Moore’s Personal Color Viewer. Jon and his crew are professional and efficient, yet personable. They are a pleasure to work with! The quality of work is superior. I enthusiastically recommend Jon for all your painting needs."